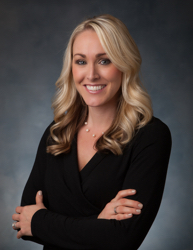 Karisa Diephouse is responsible for partnership integration and strategy execution across all Beacon Pointe Wealth Advisors offices located throughout the country. Karisa brings over a decade of experience in financial services, wealth management and retirement planning strategies and understands the operational components involved with office and service efficiencies. She has worked at Charles Schwab and Fidelity Investments where she held various roles of increasing responsibilities in sales, planning, operations, compliance and client services. She is also a founding member of the Beacon Pointe Women’s Advisory Institute and co-authored Your Dollars, Our Sense: A Fun and Simple Guide to Money Matters, an international best-selling book that has ranked #1 in six different business/finance categories. Karisa received her Bachelor of Science degree in Business Finance from California State University, Long Beach. Karisa is married and lives with her husband and two young sons in Mission Viejo, CA. She enjoys taking long walks to the park with her kids, traveling, running and spending time with her family and friends.